The study covers project implementing areas in 6 provinces which are Ubon Ratchathani, Sisaket, Roi Et and Surin in the northeastern region as well as Suphan Buri and Phra Nakhon Si Ayutthaya in the central region. 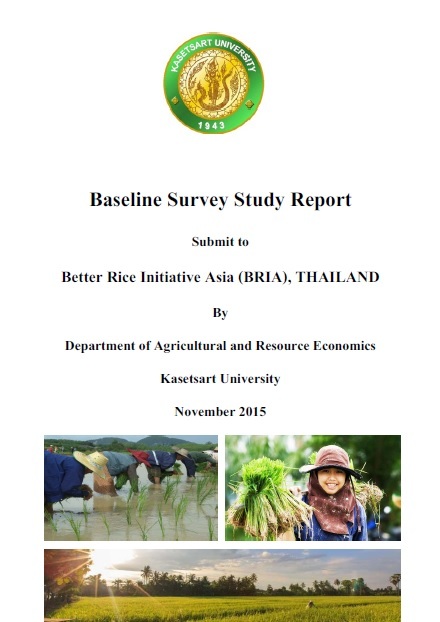 The time coverage of data gathered in this study is during 2014/15 crop year of Thailand (1 May 2014 – 30 April 2015). The study used primary data collected by farm interviewing through structured questionnaire. Sample size was defined in total of 640 farm samples from 29 Community Rice Centers (CRCs) which were selected by using simple random sampling method.